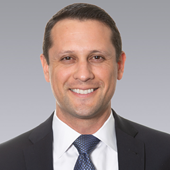 Beginning as a research analyst at Colliers International, I developed a deeper level of understanding of the many submarkets within Sacramento and became proficient at providing analytical support to my colleagues and our client. My pursuits are to help my clients mitigate their risks and maximize their value by partnering with them and aligning my goals with theirs. I am a thorough problem solver and a dedicated advocate for my clients. As an Associate at Colliers, I specialize in advising office tenants, property owners, and investors to develop and implement real estate strategies to help their business succeed. Due to my success as a Research Associate, I was brought on as a member of the Northern California Healthcare Advisory Group lead by Bill Swettenham and Eric Ortiz. We bring together a team of real estate professionals, committed to understanding and serving the unique needs of the healthcare client, from owners to investors and healthcare providers. As healthcare experts, we understand the specific needs of healthcare real estate, its complexities, and stay abreast of new regulations and market trends that are affecting the industry. The group is committed to applying our combined experience working with Medical Office clients on land acquisition and disposition, development, building acquisition and sales, and landlord & tenant lease representation. "Working with Tyler was great! He’s helped me from start to finish finding the perfect building for my new business. One thing I really enjoyed working with Tyler is the constant communication. He checks in to make sure everything is going smooth! Thanks Tyler for all your help and I look forward to working with you again in the future!" - Edmond David, CEO & Founder of AKIDSLIFE, LLC. I have spent the last 35 years immersed in the commercial real estate industry with the last 15 specializing in the medical community. Throughout this time, I have developed my expertise in the planning, leasing and sale of office buildings and land throughout Northern California and abroad. In addition to direct experience working alongside office developers to assist with highest and best use, I provide foresight and ingenuity to portfolio optimization, process standardization, risk mitigation, and financial analysis. My goal within every interaction is to marry my client’s desires with my real estate knowledge to achieve success. This client-focused approach has earned me a solid reputation for creating value and defining risk for both tenants and ownership alike. I served as a pilot in the US Air Force for 7 years before moving to commercial airlines for 8 years. Sacramento has been home for my wife and two children for the better part of three decades. In my free time I enjoy family, friends and a round of golf. As member of the Northern California Healthcare Advisory Group (NCHAG), I specialize in providing real estate solutions for local and national medical groups. Medical office buildings (MOB) are far more nuanced than traditional office buildings and the needs of MOB users are intricate and specific. My clients partner with my group because they have confidence in on our up-to-date knowledge of state & federal regulations, healthcare trends, and awareness of the inherent risks that are unique to medical real estate. I pride myself as a student of the healthcare industry to stay abreast of the changes in regulations and impacts that the healthcare industry has on the medical real estate market. 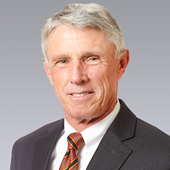 I began my real estate career with C. Strain Corporate Real Estate which was acquired by Cushman & Wakefield in 2007. My experience throughout my tenure has included landlord & tenant representation, and the disposition and acquisition of office and flex investment properties on behalf of owner/users and institutional clients. Outside of Colliers, I enjoy playing soccer, practicing photography, and spending time with my wife and two beautiful daughters. 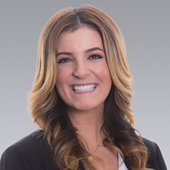 Bre joined the Colliers Sacramento office in Novemeber 2015 with seven years of progessive experience in customer service and client relations.